 Creative Gardens and Driveways are an approved supplier for Marshalls meaning we are regularly reviewed and assessed by them. See details of our latest review in June 2014 below when we were rated fully compliant and praised for our excellent work and high standards. Creative Gardens and Driveways recently completed this fantastic COREGravel driveway in Sale, Cheshire. The COREGravel stabilised gravel solution provides a long lasting replacement for an old tarmac driveway. The surface is fully porous so it conforms with SUDs legislation.